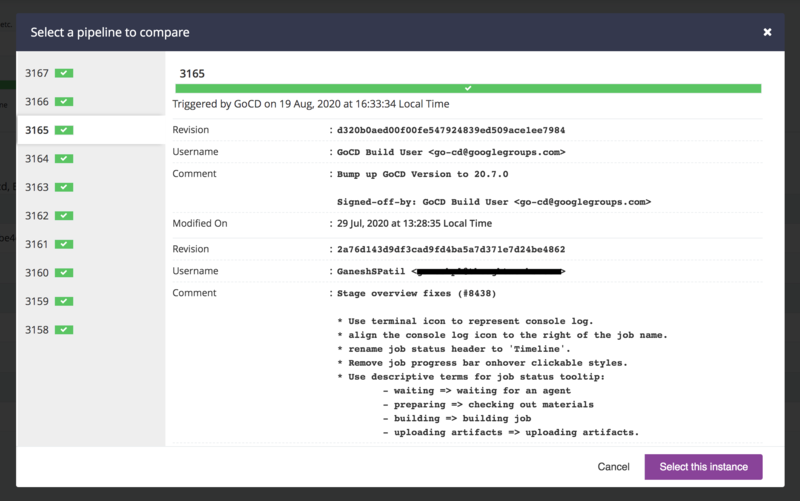 The Pipeline Compare screen lets you compare any two instances of a pipeline. Every pipeline instance is associated with a set of changes; be it a source control modification or an upstream pipeline. Performing a compare lets you easily identify exactly what these changes were. 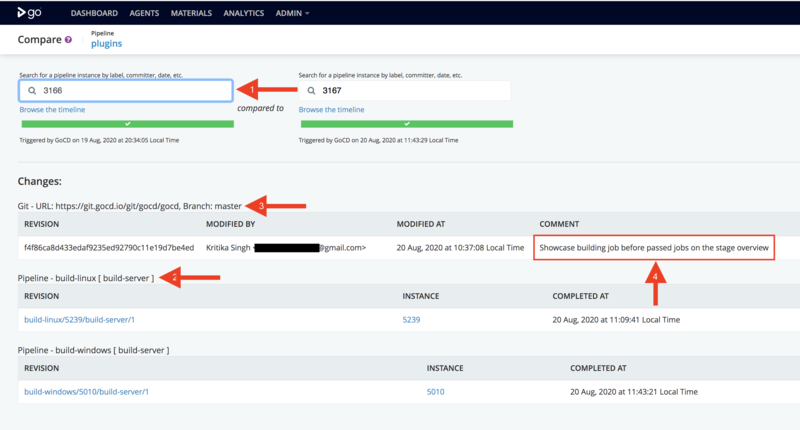 To/from search box: You can search for the appropriate pipeline instance using any of the following - pipeline label, check-in comment, person who checked in, upstream pipeline label and revision. Upstream dependency changes: All the changes to upstream pipelines within the search range. Changes to version control systems: All check-ins that went into dependent VCS materials within the search range. Tracking tool integration: If you’ve configured a tracking tool integration for this pipeline or any upstream pipelines, check-in comments containing story/defect/ticket numbers would be hyperlinked to the appropriate tracking tool. You can also select a pipeline by browsing the pipeline history.